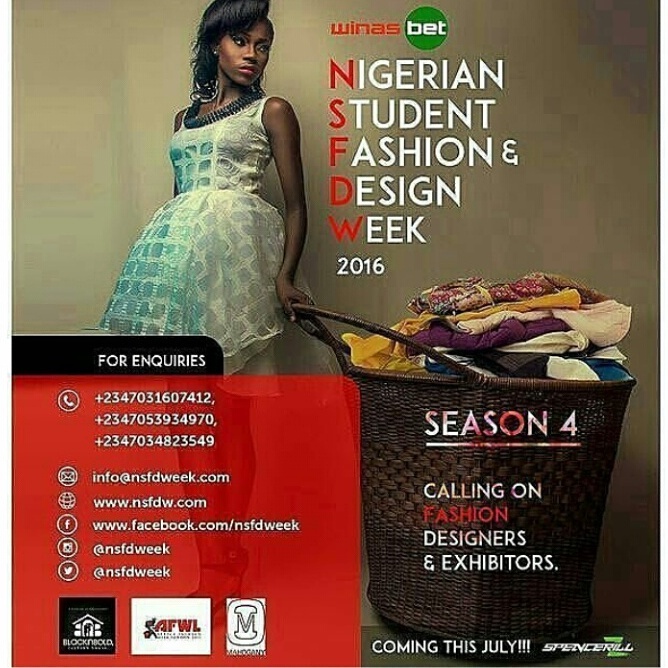 The Nigerian Student Fashion and Design Week is one of the most anticipated fashion event of the year. success stories of many emerging designers in the country can be traced back to NSFDW. A set of fashion judges are always on ground to select the most creative designers who go home with several consolation prizes. Ejiro Amos-Tafiri, Tewa Onasanya, Kola Kuddus, and Onome Fasan were the judges last year. runner up. Over 2,000 guests attended the two days event. Personally, I think it’s very thoughtful of the organizers to bring up such a creative avenue for student designers, because it would lay a foundation for designers hoping to make it big . 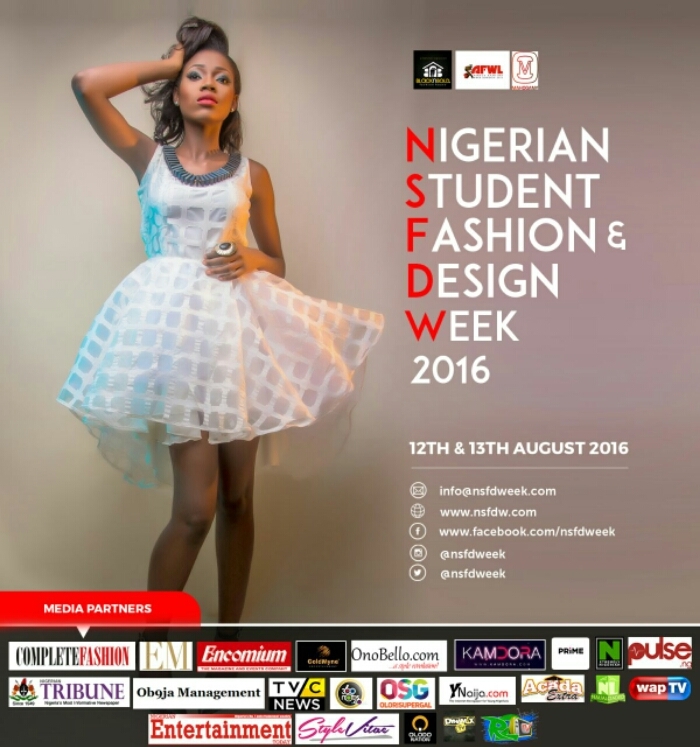 It features creative designers, models, fashion entrepreneurs and enthusiasts across Nigeria. 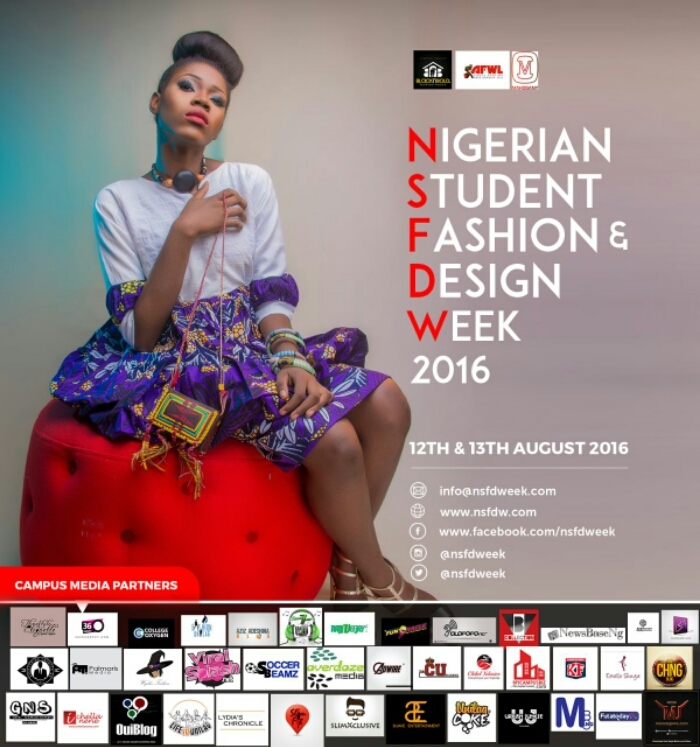 The Nigerian Student Fashion and Design Week 2016 is scheduled to hold on the 12th and 13th of August 2016 (save the date), guys you really don’t want to miss out on this! not only I’m I anticipating this because I’m opportuned to be one of the campus media partners alongside some other amazing brands, but also because I’m hoping to showcase in their next edition (*winks). Yes! I’m excited for this too. I’ve been sending them emails since April trying to get a pass, but it’s just too slow 😥. Oh well…. Really?😮, I’ll message you hun. Wow! I wonder why the media accreditation is slow. If it happens that, you don’t get a pass when its a few days to the event, let me know so we can work something out.